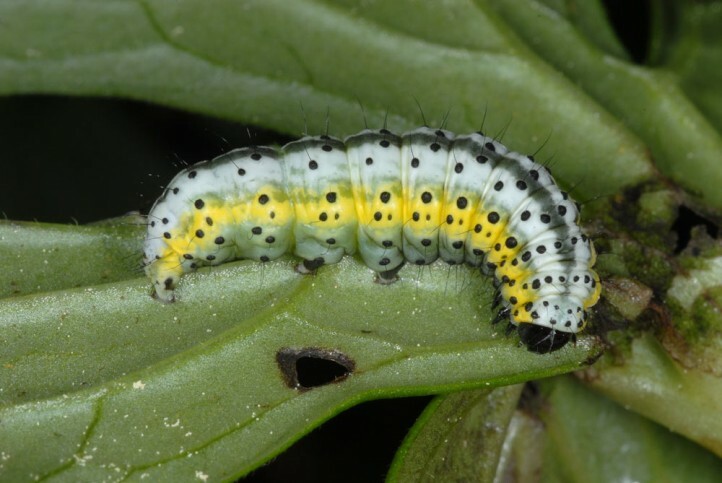 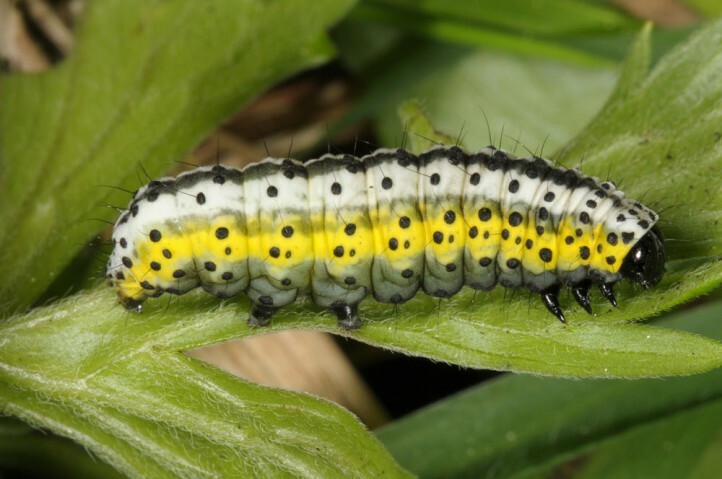 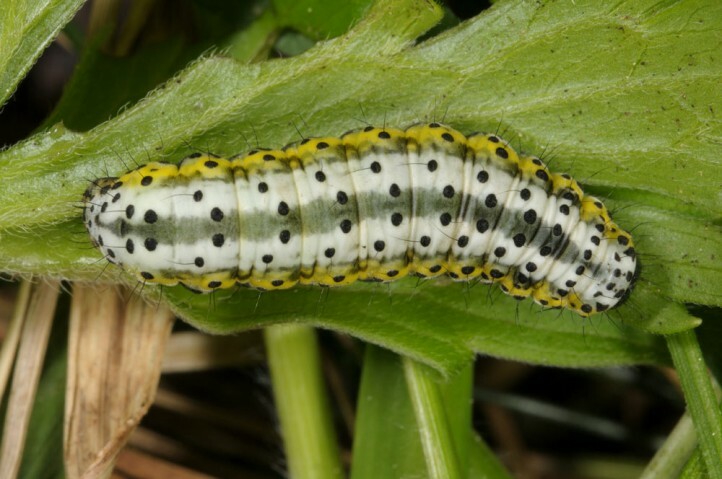 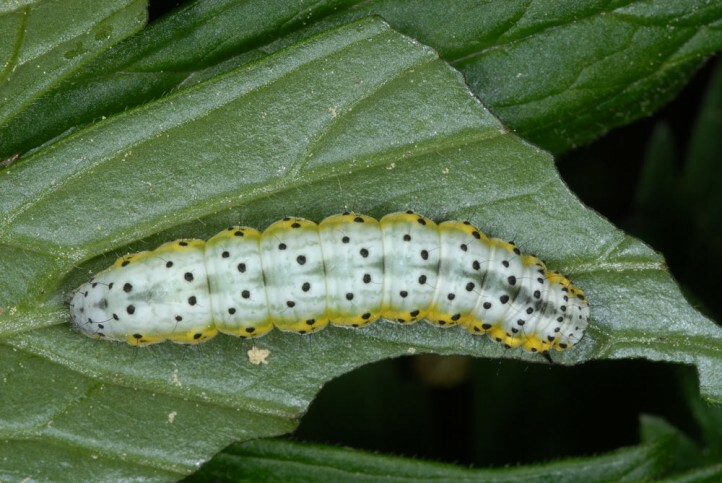 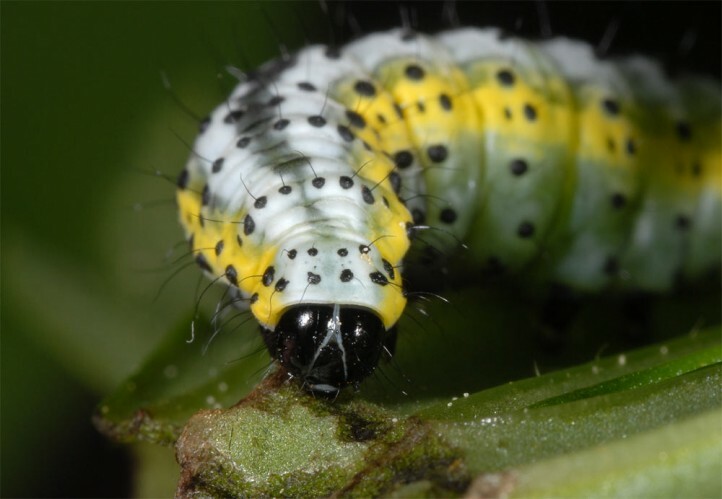 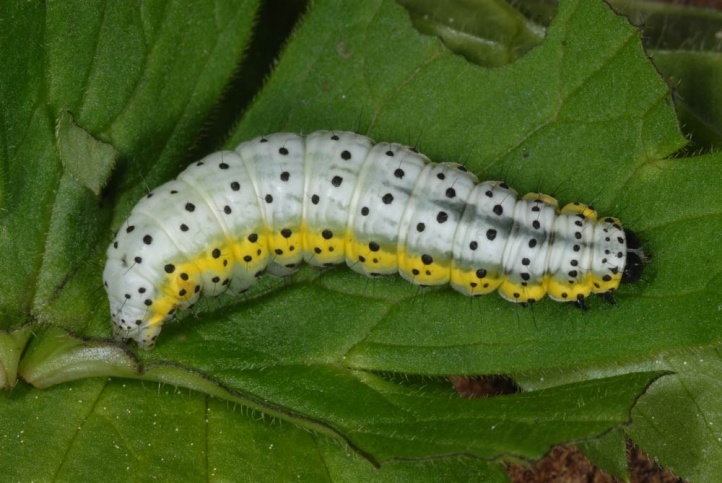 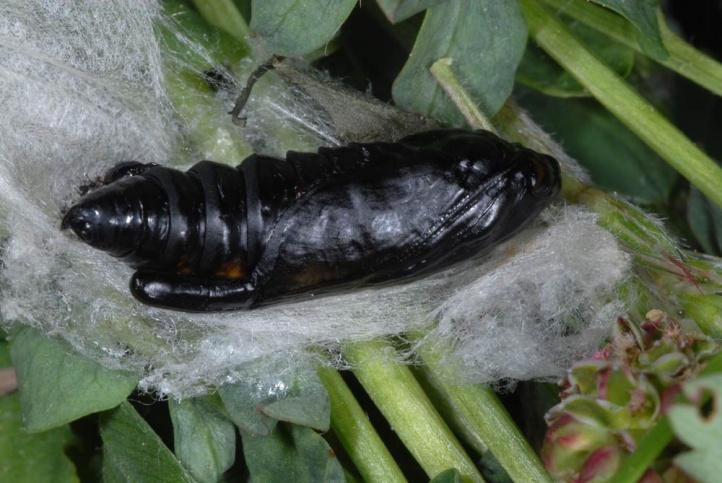 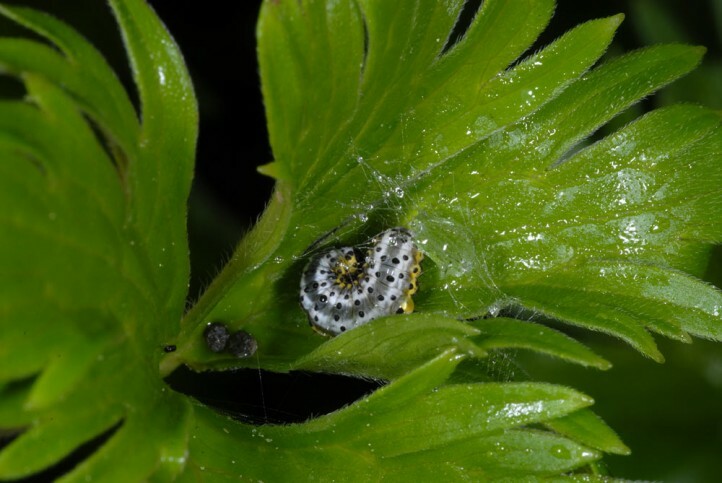 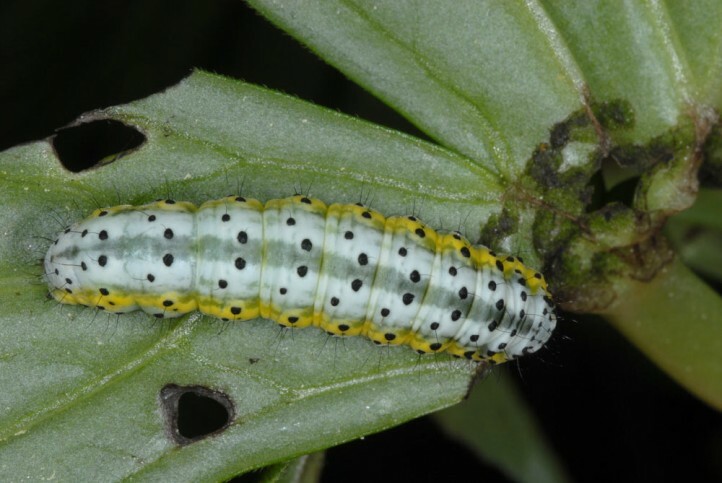 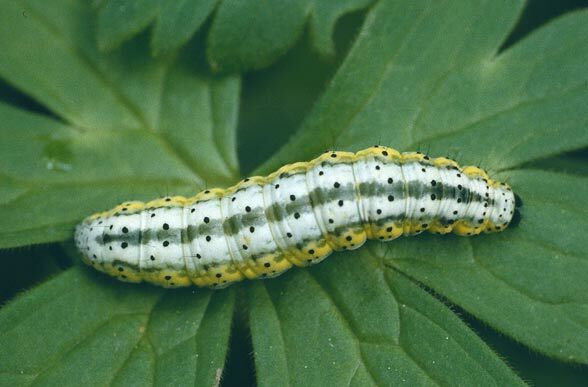 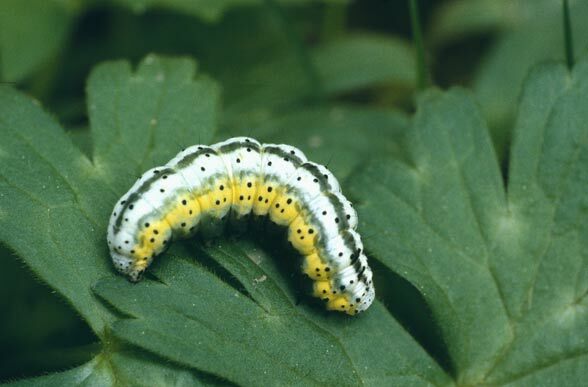 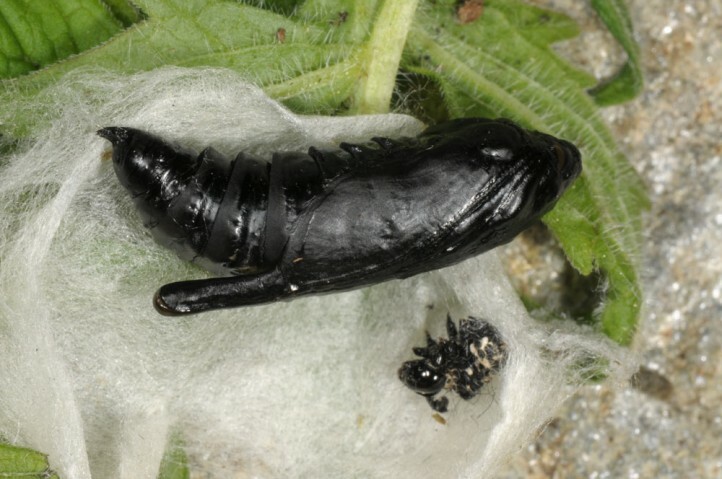 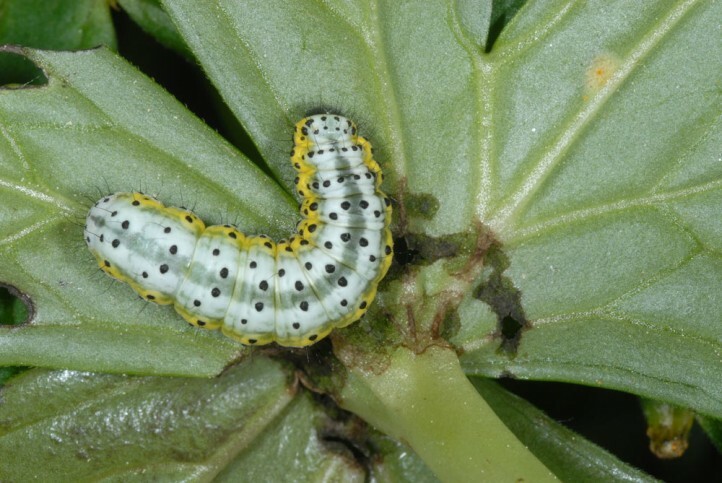 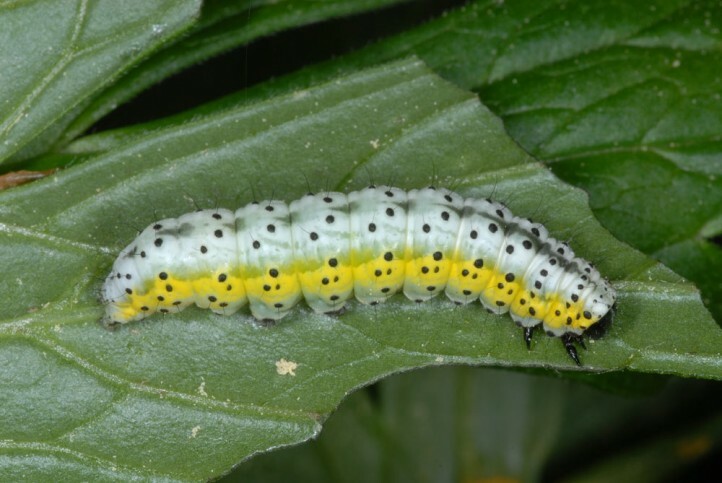 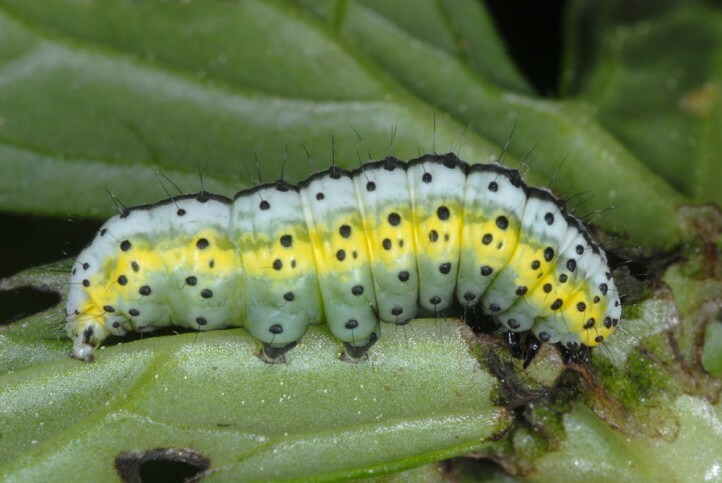 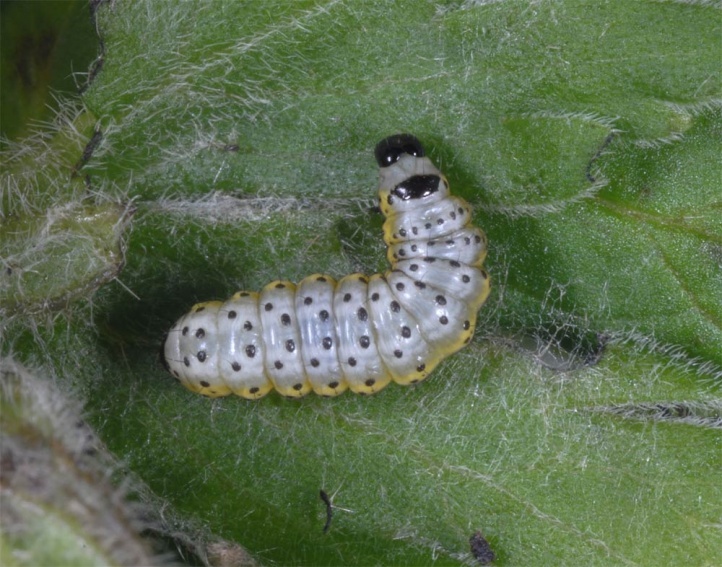 The larvae feed mostly on Aconitum vulparia. 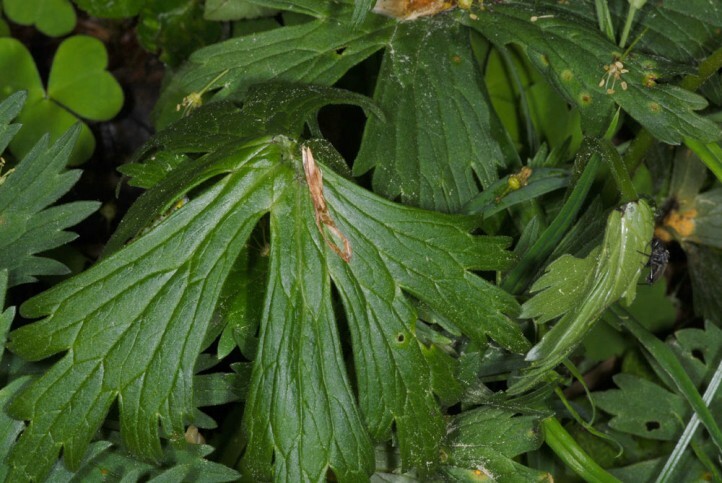 The use of blue Aconitum species such as Aconitum napellus or A. variegatus is questionable in my opinion, because they were refused in a trial and have another sheet consistency. 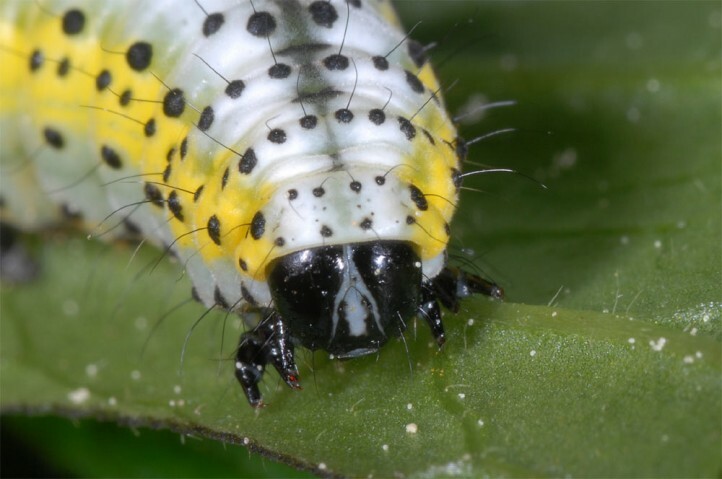 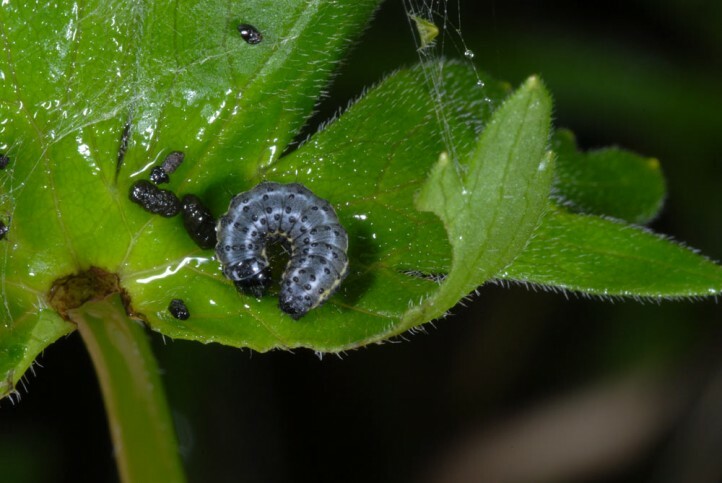 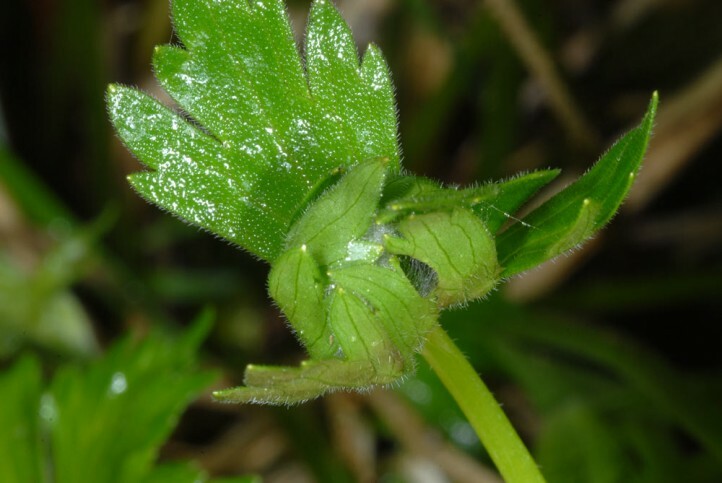 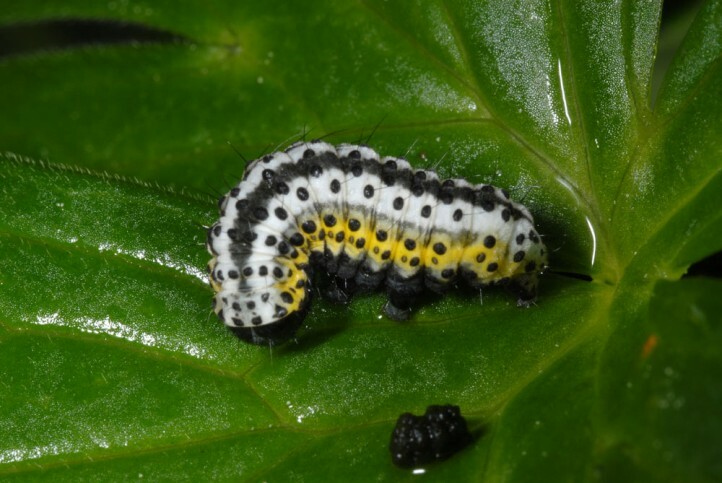 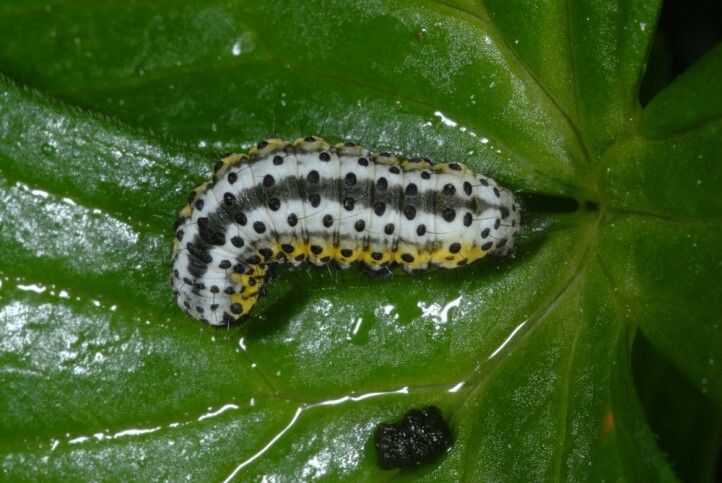 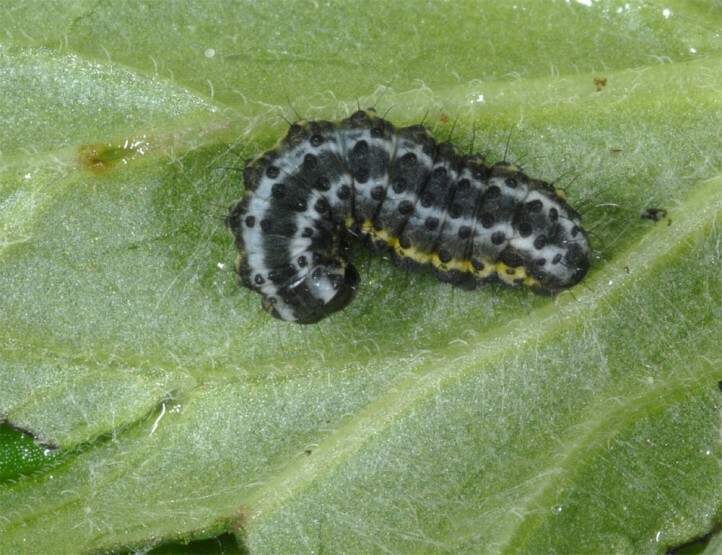 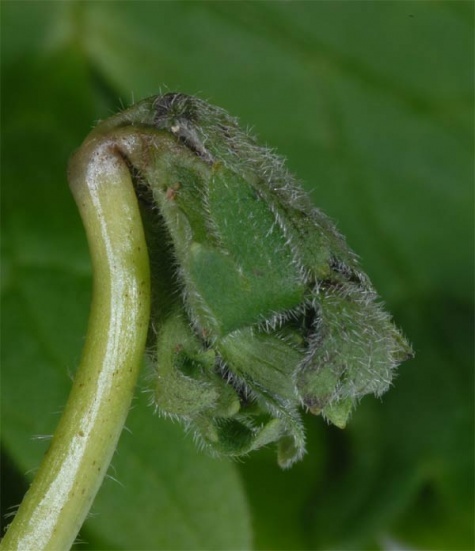 However, larvae accepted Consolida sp. 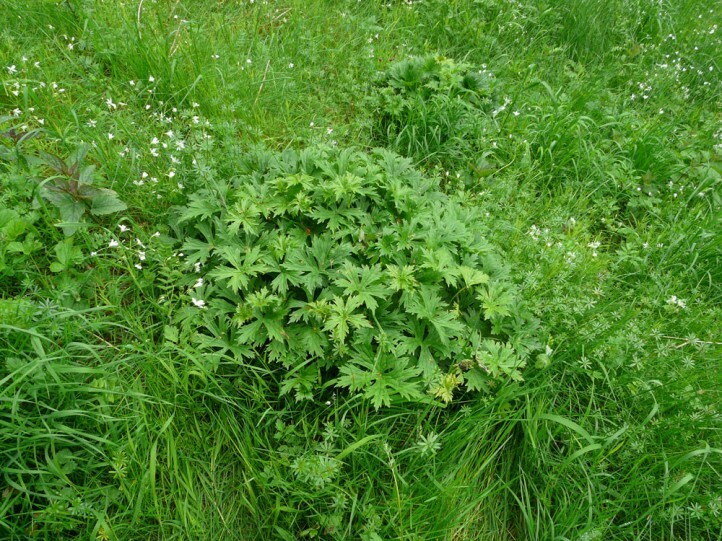 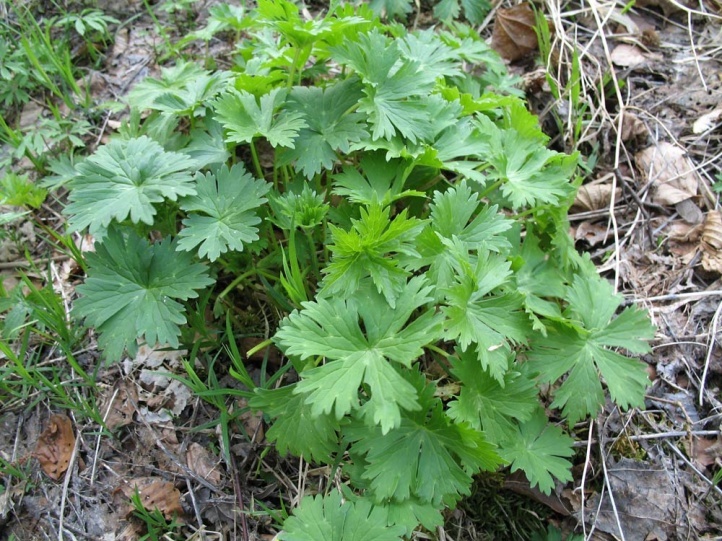 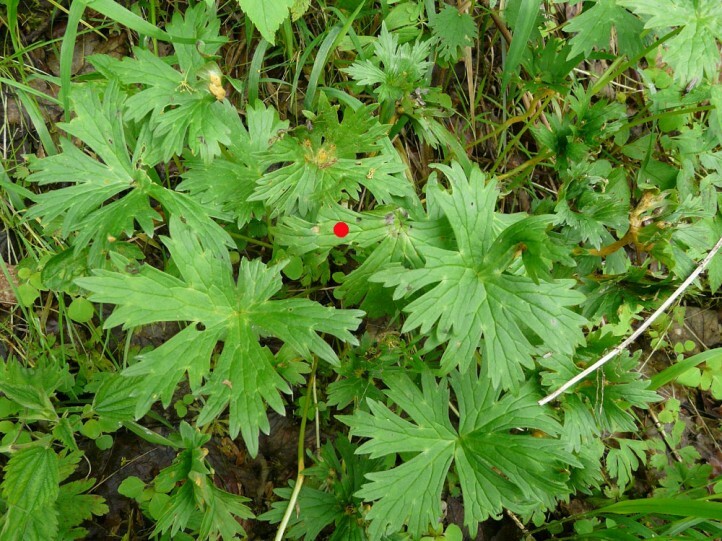 (garden variety), which is in the sheet quality similar to Aconitum vulparia. 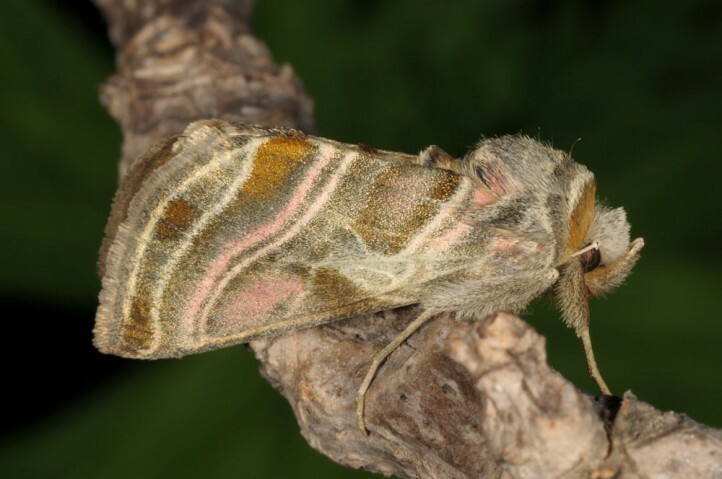 Euchalcia variabilis colonizes shaded, slightly humid and somewhat lighter areas in the forests or along forest edges, stream banks and tall herb communities in the woodlands, forest ravines and valleys, mostly air humid cellar locations. 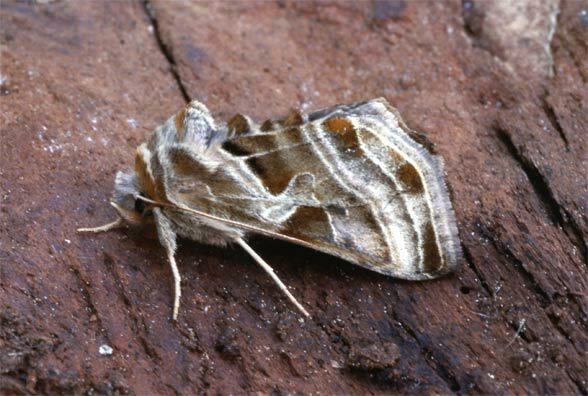 In the Alps, Euchalcia variabilis is also found in a bit more open localities such as spring water rich forb communities. 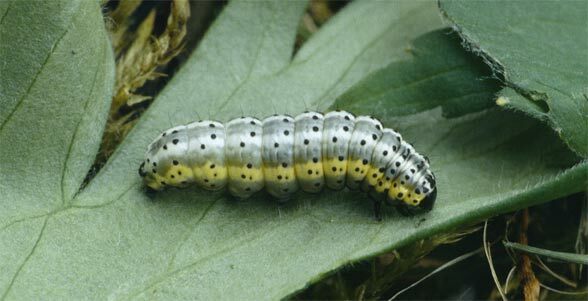 The caterpillars are found from mid April to late May/early June. 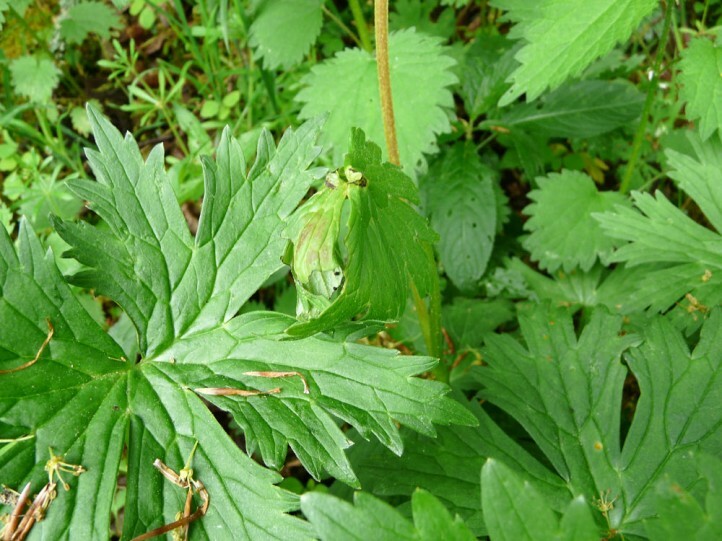 They live at first in a young leaf woven together in the heart of the plant and later under an umbrella, which they made from a sheet. 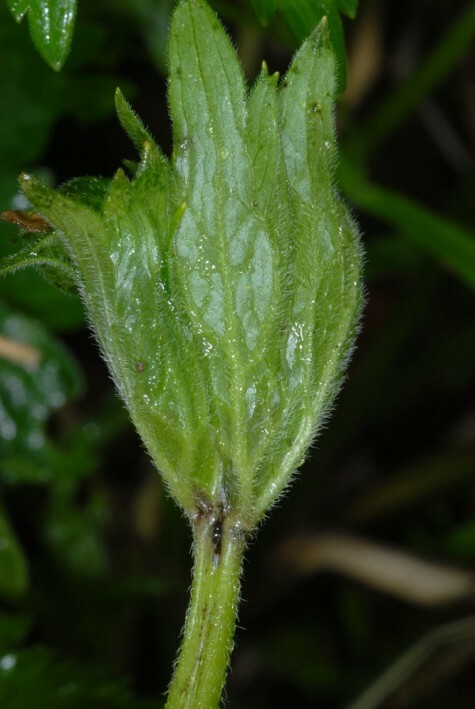 Therefore they are biting the petiole just before the leaf almost through, so the leaf wilts and collapses to an umbrella/shelter. 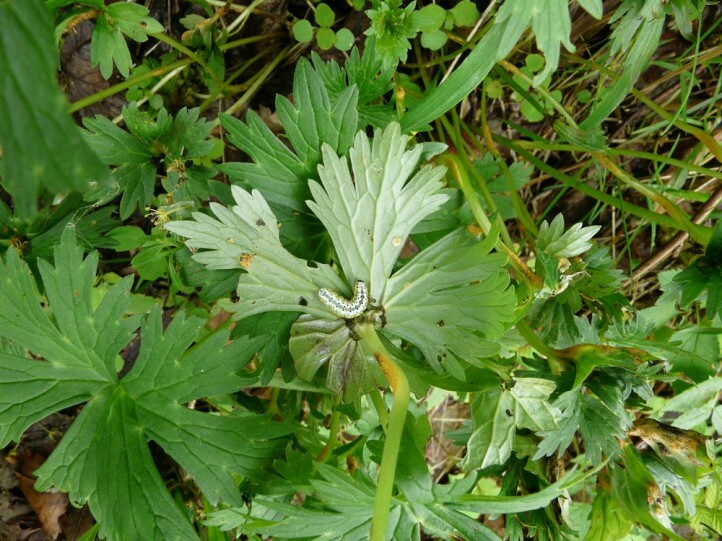 Even the young caterpillars treat their young, small leaf in a similar way, but spin it in addition. 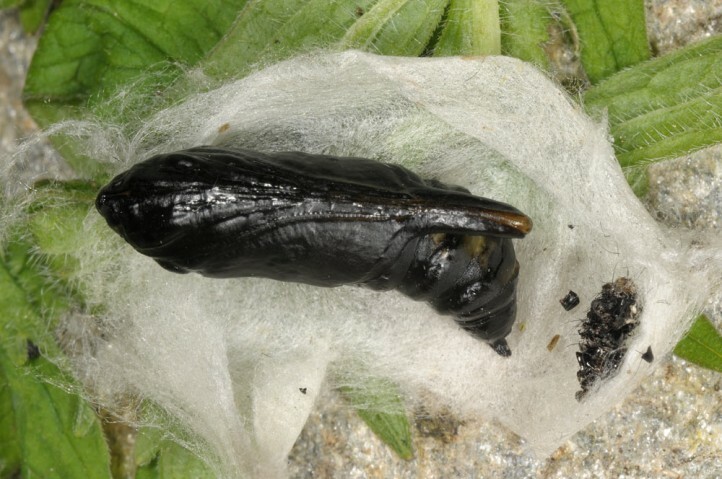 Pupation takes place in leaves woven together. 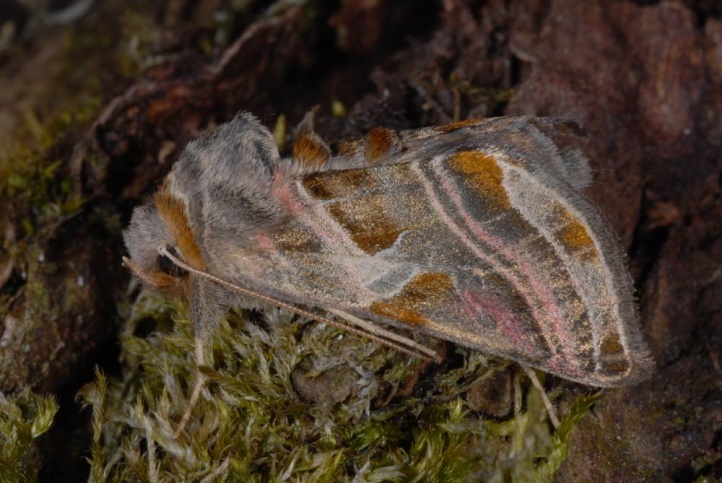 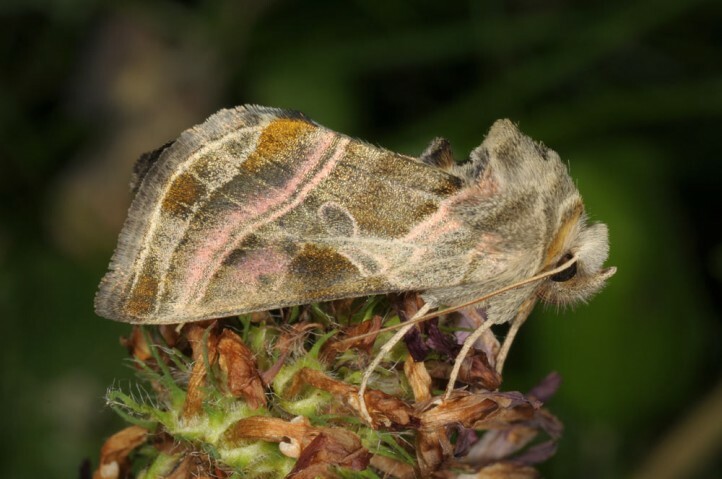 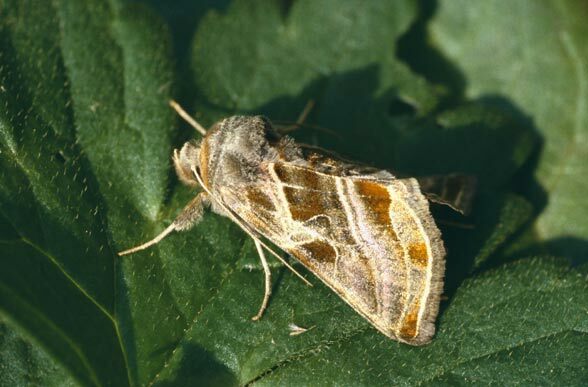 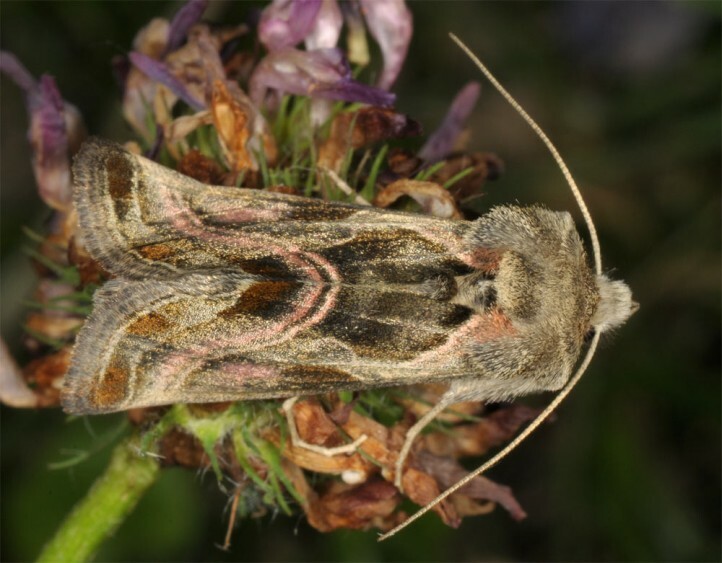 The moth flies in June and July. 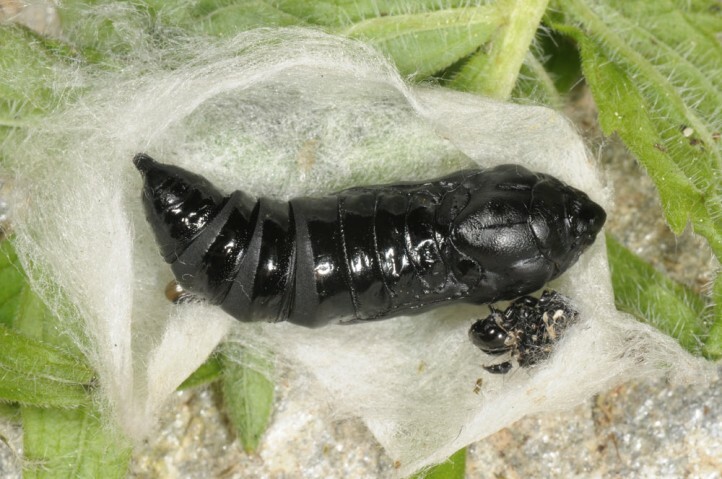 Probably the L1-larva overwinters in a cocoon. 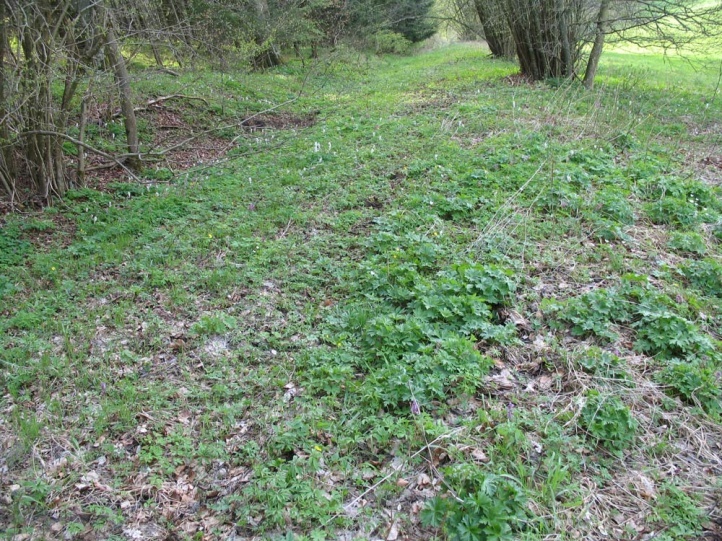 The mostly small-scale habitats are quickly destroyed by cutting trees, storage of logs, afforestation with spruce or overgrowth with neophytes. 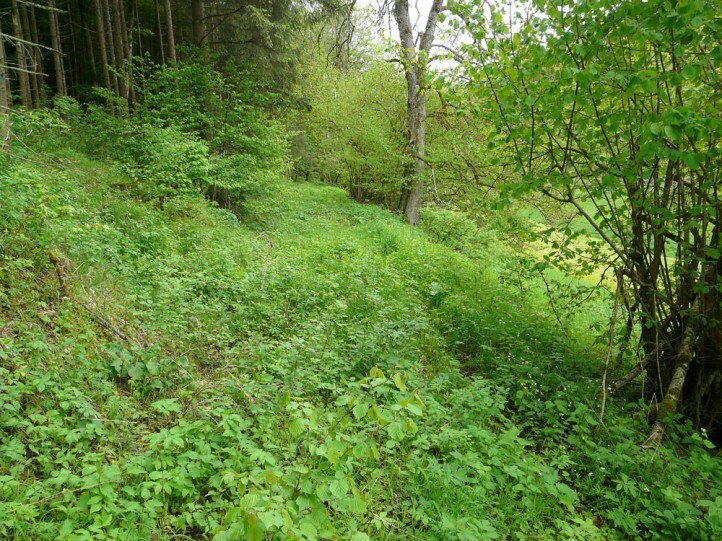 They should be mapped and preserved in their original state. 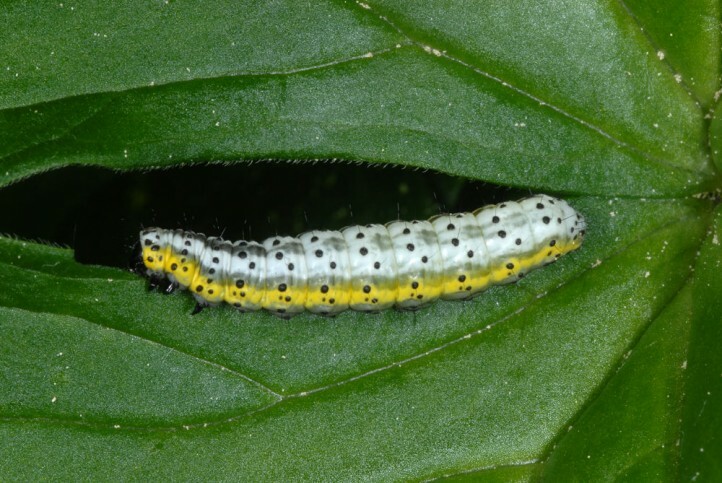 This also applies to the still much rarer Lamprotes c-aureum. 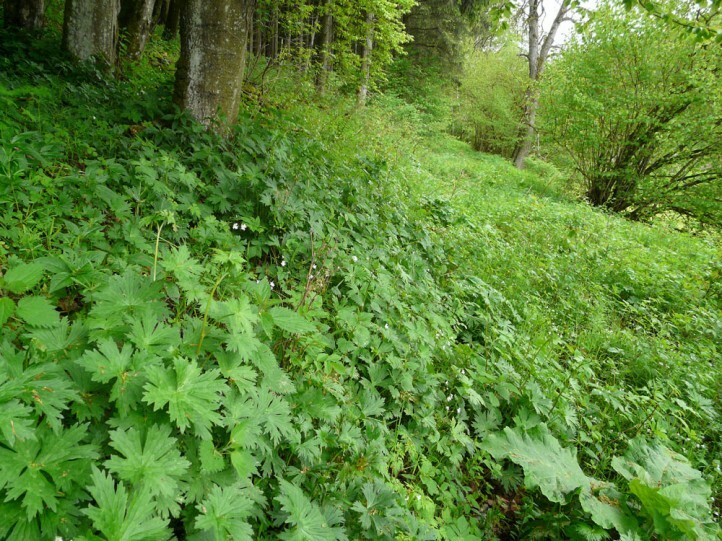 The distribution ranges from the mountains of Southern and Central Europe to Central Asia.